It’s so much fun to bake for friends. Especially when they request something and it turns out as they expected. 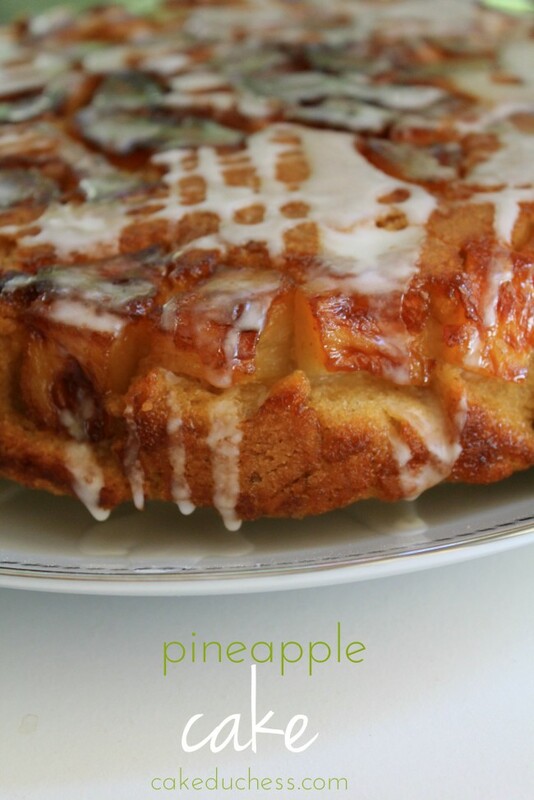 Sort of like this upside-down pineapple cake. 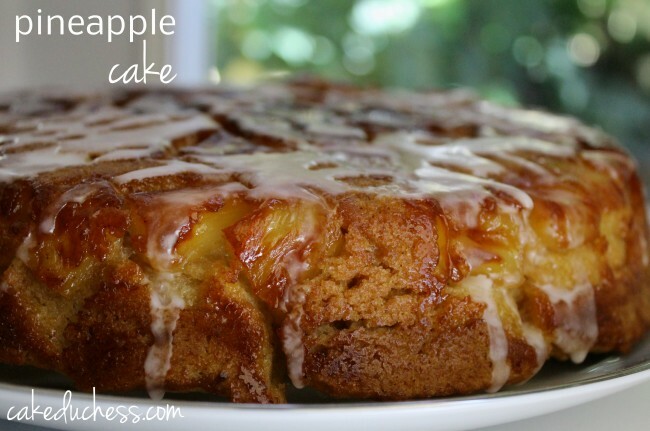 I know it doesn’t look like the typical upside-down pineapple cake that you maybe grew up eating at parties or that your mom made sometimes on a special occasion. You know, the one with the whole slices of pineapple and cherries in the middle? That one! I was going to make that cake, as a friend had requested it a few times at birthday parties. It was more like, “Hey! Can you make me an upside-down pineapple cake?” I wrinkled my forehead (I know, so bad for wrinkles! )a little and thought, sure! Why not. It has to be simple and I hadn’t made one in years. And I happen to love upside-down cakes! I found this recipe on vegweb. The cake had pages and pages of comments and even different variations from readers who submitted their ideas. Inspirational and a way for me to get lost on a website for another hour. Beware, you may get sucked into the comments and waste some time like I did, but you may also take away something from it all, so it won’t be really a waste of time. SO the recipe: It’s so easy to make and tastes incredible! The cake is moist and it is no-stress (we like no-stress). No fuss and the pineapples just add the natural sweetness. What was the verdict from the friend that requested it? He loved it and was thrilled I remembered to bring it. I think I’ll be making it again for the next holiday coming up when we all get together. Need to make a cake in a jiffy? This is your cake! Sorry not too many photos with the cake. If I debate on making this cake again and taking more and better photos, this cake may never be shared with all of you. I couldn’t take a photo of it sliced, but trust me, it was lovely and loved by all!! Preheat oven to 350 degrees F. In a bowl, combine flour, sugar, baking soda, salt and cinnamon.. Pour juice off can of pineapple into 1 cup measuring cup-it should be about 3/4 cup juice. Add water to make 1 cup. In a separate bowl, combine the pineapple juice, oil, and vinegar. Dump pineapple chunks into the bottom of a 12″ spring form pan (you could use an 8″ x 8″ or other sized spring form, just adjust cooking time). Sprinkle with brown sugar. Quickly mix wet ingredients into dry, stirring quickly to combine ingredients well and get out the big lumps. Pour into pan on top of the pineapple/brown sugar mix. Bake for 25 to 35 minutes, or until golden on top and a toothpick inserted in the center comes out clean. (Baking time will depend on pan size). Let cool and loosen sides of cake from pan. Remove side ring and place serving plate on top. Flip cake over onto serving plate and remove pan bottom. Drizzle on a simple powdered sugar glaze.